Sending a strong message to medical fraternity who provide medical asylum to VVIP accused, the Supreme Court on Tuesday awarded a fine of Rs 1.4 crore on two doctors for admitting an Ex- MLA, a murder accused, in their hospital for 527 days without any ailment in a contempt case. Justice Dipak Misra’s bench directed doctors — Dr K.S. Sachdev, Managing Director and Dr Munish Prabhakar, Medical Director, of Privat Hospital, Gurgaon to pay Rs 70 lakh each by June for admitting former MLA Balbir Singh for such long period to defeat the court order directing him to surrender before the court after cancelling his bail. The bench fixed July 6 to decide the modalities for utilization of the money. On December 15, 2016 the Supreme Court had held these doctors guilty for contempt of court for providing "medical asylum" to former MLA Balbir Singh in order to frustrate the court's 2013 order cancelling his bail and ordered to send him behind bars in a murder case of 2011. 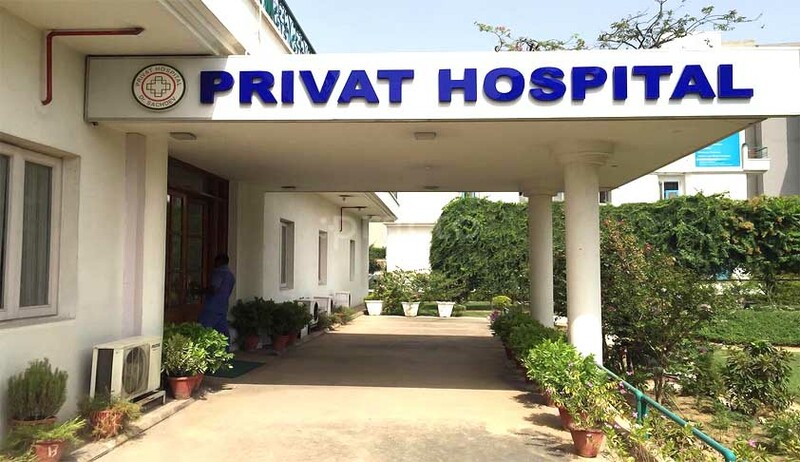 Appearing for the victim’s family advocate Rishi Malhotra argued for cancellation of the hospital license as it is a common practice among the VVIP accused to take asylum in private hospitals without any physical ailment to frustrate the court orders against them. The doctors have tendered un-conditional apology, however, the court awarded the penalty on them for contempt of court by allowing the murder accused in their hospital for such long period despite court’s order for the accused to surrender. On October 24, 2013, the apex court had quashed Balbir's bail, granted by the Punjab and Haryana High Court in a murder case and asked him to surrender but he got himself admitted in 'Privat Hospital' in Gurgaon to avoid arrest. The trial court had repeatedly passed orders directing police to arrest him but it failed to take action. The victim's family then approached the top court seeking contempt proceedings against the accused for not complying with its order. The accused was discharged from the hospital on May 1, 2015 only after the court sought explanation from it for protecting an accused. The court had ordered a CBI probe that revealed the accused was not suffering from any serious disease and his stay at the hospital was only to evade arrest. Earlier, in the conviction order in December 2016, the court had turned down the plea of the hospital that it was not aware about the court's order after the CBI report revealed that no medical test was conducted on the accused during his stay there. "Both these medical professionals are responsible for such prolonged admission which was actuated by only one reason which was to extend medical asylum to the respondent(the accused) as a cover to defeat the orders passed by this court and the trial court. In this process, these medical professionals not only helped him in violating the order of this court but they also obstructed administration of justice," as per the judgment. "This shows that the illness as projected was not serious at all and no intensive treatment as indoor patient was required. This prolonged admission without any justifiable medical reason was essentially to defeat the direction issued by this court and repeated non-bailable warrants issued by the trial court," the bench had said.